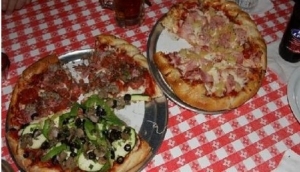 Enjoy Italian Restaurants in Hawaii, serving pizza pies and pastas. Hawaii restaurants come in every variety, including Italian. Find your favorite Italian restaurant in Hawaii on My Destination Hawaii. Traditional Italian food consists of starch based dishes, like pasta or ravioli, mixed with meat or vegetables and served with a sauce.